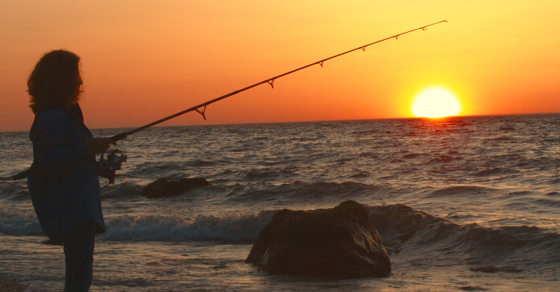 A gone-fishing portfolio keeps investing simple. Last year’s returns were very well diversified and did very well. I made only a few small changes in this year’s gone fishing portfolio recommendation. You can drift toward them if you are already invest according to last year. There are three changes from last year’s recommendation. First, we have added the ability to select an asset allocation either by age or by setting the allocation you want to stocks and having the remainder allocated to bonds. This provides more flexibility for using the calculator. Second we have dropped money market (cash) entirely. I decided that there are too many variables to consider in determining how much you should have in cash to make a recommendation in this calculator.You should make a decision on how much you have in cash for withdrawals or an emergency fund separately from investments that you are putting in a long term investment portfolio and only rebalancing once or twice a year. If you don’t know how much to put into cash or bonds, learn how having a plan not to run out of money is priceless. The third and final change from last year’s gone fishing portfolio is to add a small cap value back into the US stock allocation. We had left it out last year fearing that small cap and value were comparatively over valued, but I don’t think a gone fishing portfolio should aim at dynamic asset allocation. We added in an allocation to Vanguard Small Cap Value ETF (VBR). And we took the money from U.S. Large Cap (S&P 500). We think the the diversification should help. Check out how last year’s allocation fared over 2013 and use this year’s calculator to plan for 2014. Photo by Bemep used here under Flickr Creative Commons.